Later tonight, rookie right-hander Jonathan Loaisiga will make his second big league start, and it’ll be his 13th career start above the short season minor leagues. The kid came back from Tommy John surgery last year and zoomed through the minors, and given the way he pitched in his MLB debut last time out, it was easy to see why. Loaisiga was great. 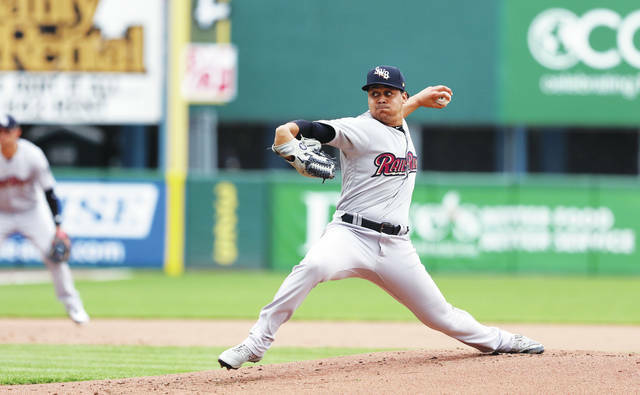 Also later tonight, left-hander Justus Sheffield will make his eighth career start at the Triple-A level, all this season. Loaisiga is a fast riser in the farm system but Sheffield remains the organization’s top pitching prospect. He owns a 3.03 ERA (3.26 FIP) with 33 strikeouts in 32.2 Triple-A innings around a relatively minor shoulder injury so far this year. It is not a coincidence Loaisiga and Sheffield are lined up to pitch the same day. Or at least it’s not entirely a coincidence. Loaisiga is new to the big league rotation and if he can’t cut it — he skipped right over Triple-A, remember — the Yankees will be able to plug Sheffield into Loaisiga’s rotation spot easily. They’re lined up perfectly. “If you’re at Triple-A, at the very least, you’re in play all the time for every day if something happens up here. Just ask (Ryan) Bollinger,” said Brian Cashman to Brendan Kuty over the weekend when asked about a potential Sheffield call-up. A call-up is not imminent, but if the Yankees need Sheffield, they’ll bring him up. We know the Yankees don’t consider Sheffield’s command big league ready at the moment because they didn’t call him up when Masahiro Tanaka went down. They deemed Loaisiga, despite all his injuries and inexperience, the more MLB ready player. The Yankees are pretty darn good at self-scouting. When they call dudes up, they have a tendency to produce right away. It’s pretty remarkable, really. They’re pretty good at knowing when guys are ready. Right now Sheffield is not ready in the team’s opinion, and that is perfectly fine. He is a just turned 22-year-old kid who is more than four years younger than the average International League player. Sheffield is right where he needs to be at this point of his career. In fact, he’s probably a little ahead of schedule. There were eight high school pitchers taken in the first round of the 2014 draft and only two (Sheffield and Michael Kopech) have reached Triple-A. Sheffield is not big league ready right now according to the Yankees. How long until he is big league ready? Well, that’s up to Sheffield. Once he irons out his command, he’ll get the call. He might get the call before that, but I’m guessing the Yankees would prefer to avoid that scenario. That means another injury or something like that. Could take Sheffield a month to get his command where he needs to be. Or maybe a week! That’d be cool. One thing to keep in mind here: Sheffield’s command may not be ready for starting duty. But what about the bullpen? Relievers can get away with poor command — Aroldis Chapman and Dellin Betances are examples 1A and 1B here — as long as they miss bats and limit hard contact, and Sheffield definitely does the former. His 28.8% strikeout rate and 13.0% swing-and-miss rate will play, especially from the left side. The Yankees don’t really need another reliever. There is always room for improvement and if they can upgrade the bullpen at the trade deadline, they should do it. They’re not desperate for late-inning relief the same way teams like, say, the Dodgers and Astros are though. If Sheffield is not needed in the rotation during the summer, giving him a look in relief in September is definitely worthwhile. Maybe he’ll sneak onto the postseason roster. That’s be neat. I’m not sure I like the idea of bringing Sheffield up to work in relief prior to September though. If that happens, it probably means some bullpen regulars are hurt or ineffective, and that would stink. Also, give the kid as many innings as possible as a starter so he can develop in that role. Should Sheffield bump up against his innings limit at some point — his career high is 127.2 innings in 2015 — then yeah, letting him finish the year in relief make sense. Otherwise stick with the starter development path. At some point this season we’re likely to see Justus Sheffield in the Bronx. I think the chances are pretty darn high. Possibly as a starter if Loaisiga falters, possibly as a reliever in September, possibly a little of both. Sheffield will be Rule 5 Draft eligible after the season, so adding him to the 40-man roster early is a non-issue. Get him up, give him a taste of the show, then get ready to turn him loose in 2019.